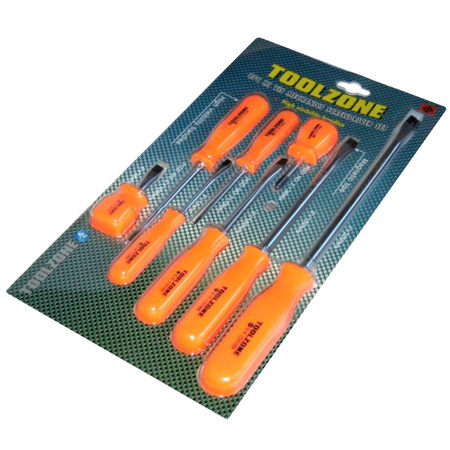 A superb set 8pc high visibility mechanics screwdrivers from Toolzone Tools. Each screwdriver has an easy find high visibility handle, chrome vanadium steel shafts for strength and durability, magnetic tips. 5pc slotted: 9 x 200mm, 8 x 150mm, 6 x 100mm, 5 x 75mm, 6 x 38mm. POZI: NO.2 x 38mm, NO.1 x 75mm, NO.2 x 100mm. 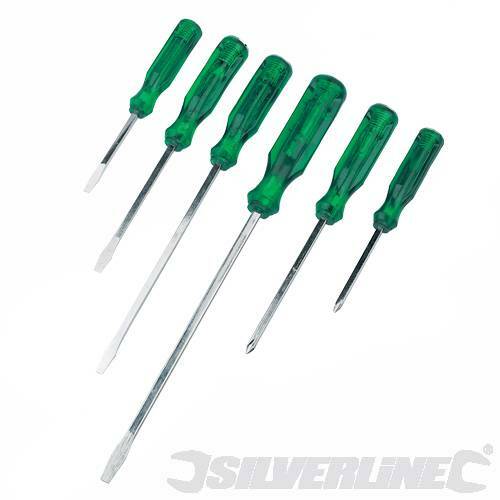 An excellent set of screwdrivers at an excellent price. Customers please note that handles may be orange, green or a mixture of both depending on stock received.